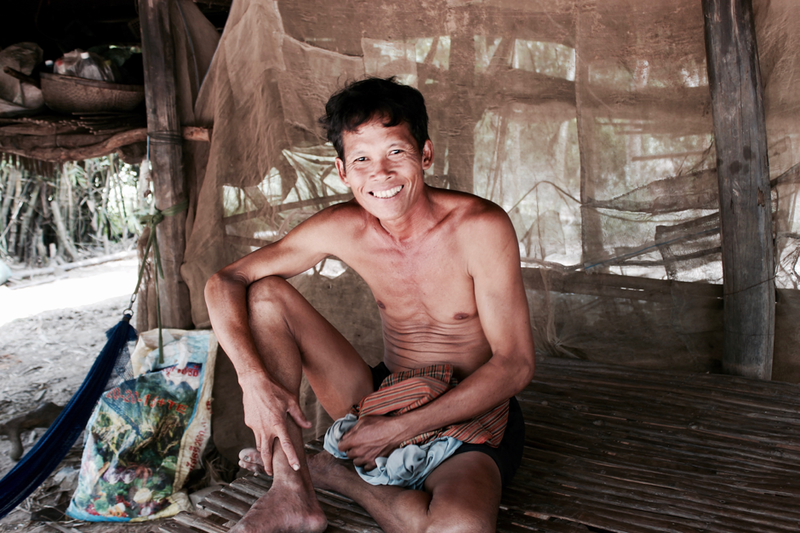 It was almost midday when the car pulled into the village of Anglong Tean in Takeo province. 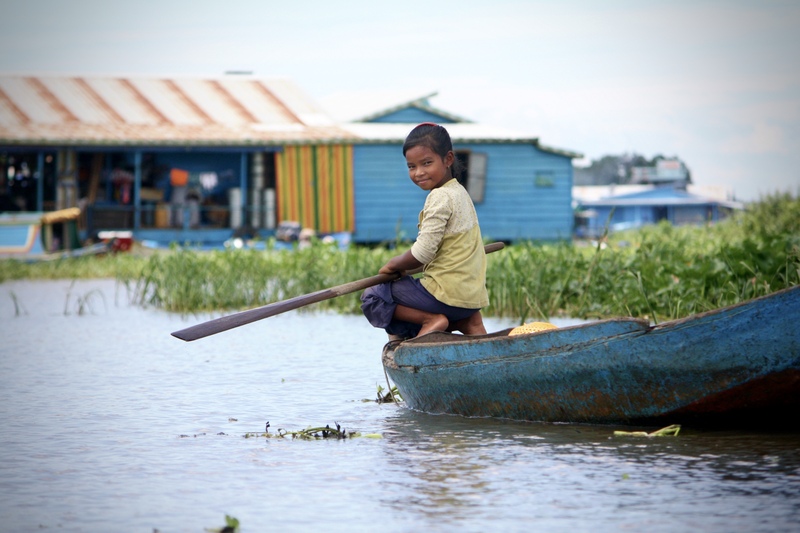 Located just 2 hours south of the bustling city of Phnom Penh, this quiet, serene village set along the Cambodia-Vietnam border seemed worlds apart. 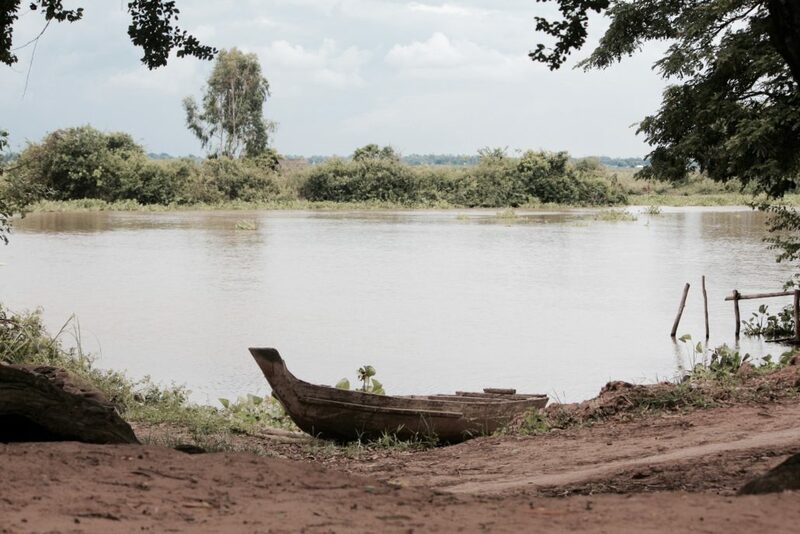 After passing through acres of rice fields set against the dramatic backdrop of the Mekong River, we finally came to a stop on the dirt road. I got out of the car feeling slightly disoriented from the bumpy ride and nearly tripped over a chicken, much to the amusement of the local children. Feeling rather hot and thirsty, we decided to get a drink at the first provision shop that we came upon. 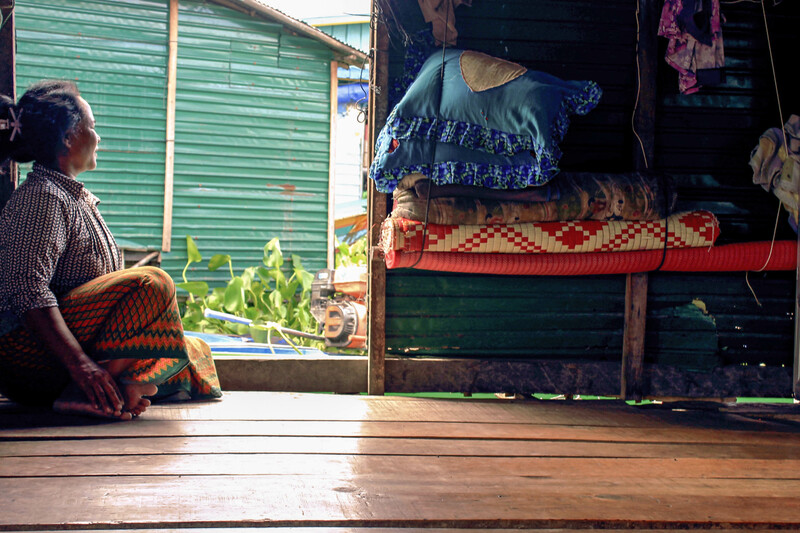 Run by a warm, friendly lady named Se Hin, the shop was small but well-stocked – the shelves were lined with jars full of candies, crackers and cookies, sodas in every colour of the rainbow, small toys and a dizzying variety of household items. 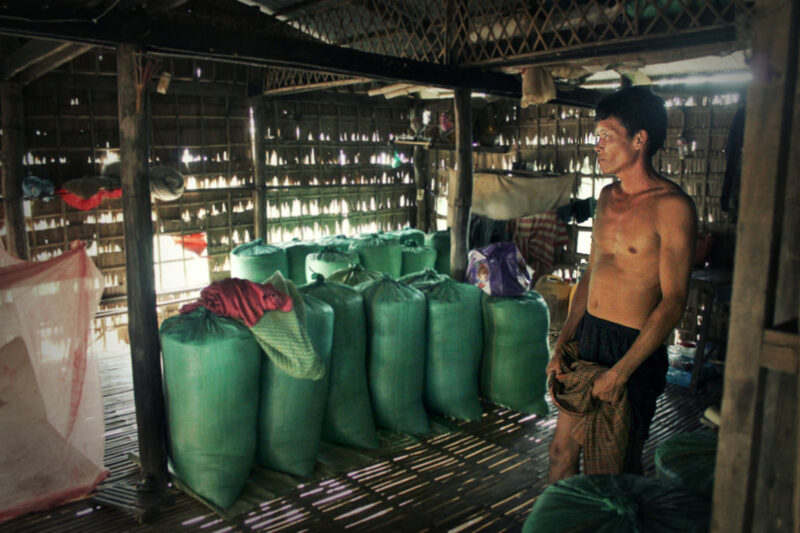 (Left) Shop owner Se Hin; (right) coffee made by Se Hin. At Se Hin’s insistence, I got an iced coffee – her specialty, as I was told. The first sip that I took left me pleasantly surprised. The coffee was dark and smooth, comparable to what you would expect in a hip café somewhere else in the world! Se Hin, as it turns out, was not born and raised here. 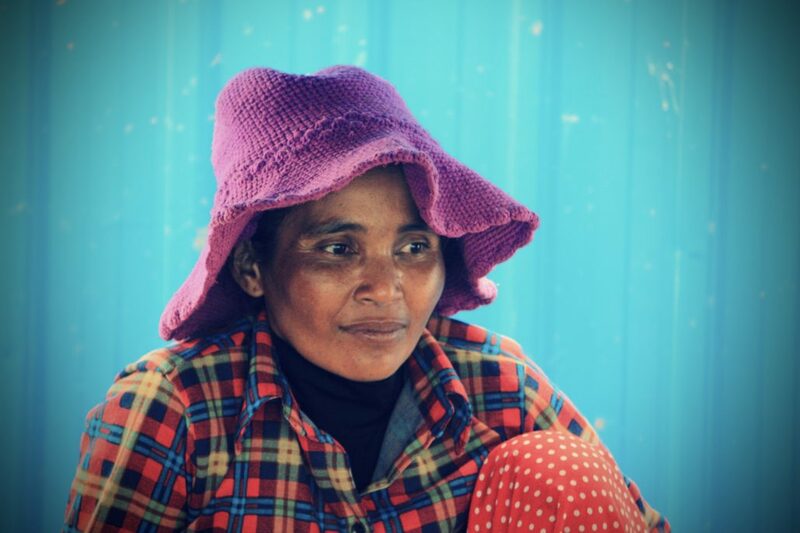 She came to Anglong Tean village from Vietnam 20 years ago in search of a better life. 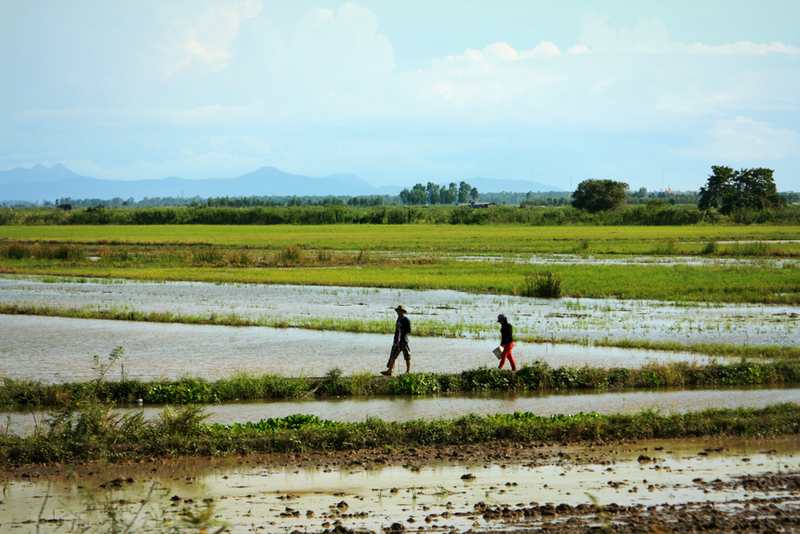 She started off by working long, strenuous hours as a farmer in the rice fields. Life was difficult back then. 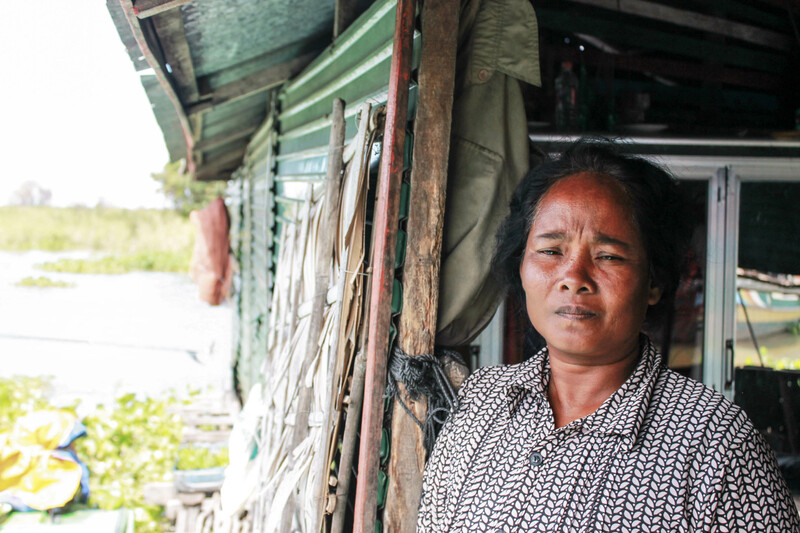 She could not afford a proper stilted house, so in the wet season, Se Hin’s home was partially submerged in water. She had to sleep on a hammock that hung precariously from the roof. 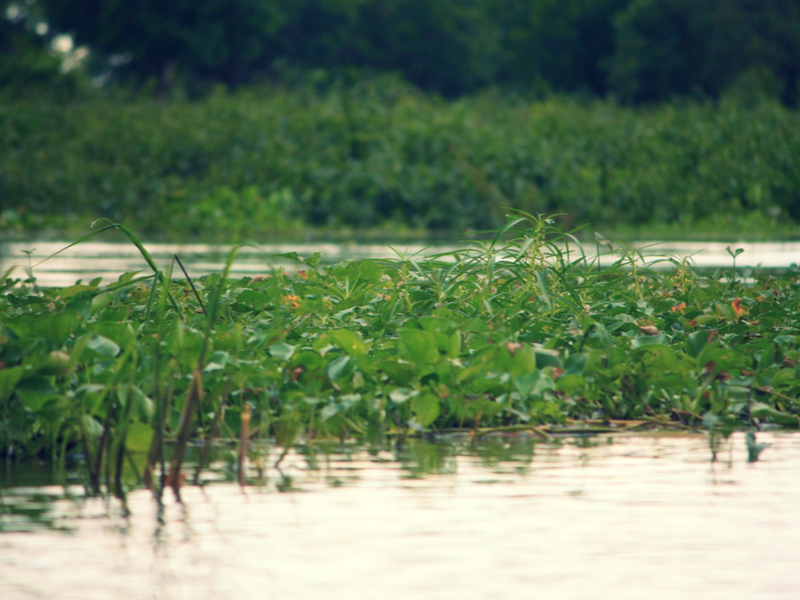 One year, the area was hit by a big flood and her crops were destroyed, taking with them her only source of income. But Se Hin was strong-willed and ambitious. 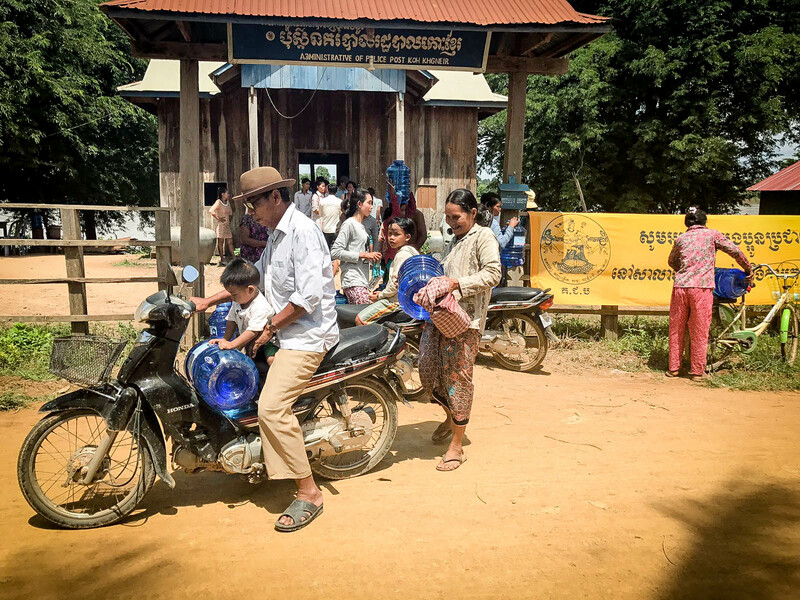 Unwilling to let her four young children go hungry, she took a bank loan and opened the provision shop, selling porridge, coffee, snacks and other household items. However, it was not long before she had new problems. 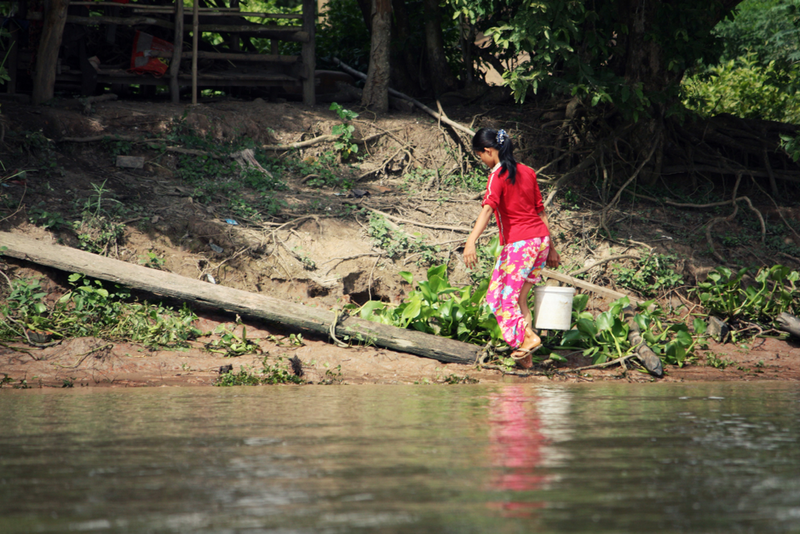 The water from the Mekong river was polluted with feces and pesticide. 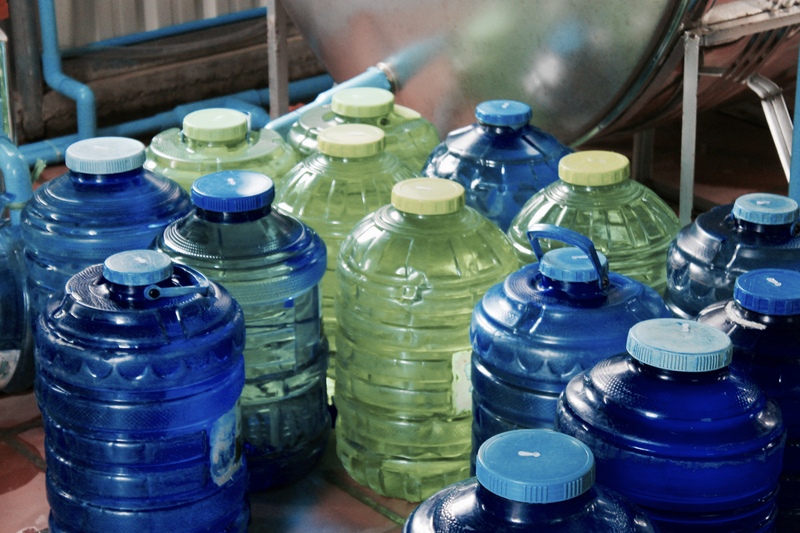 People were getting sick from drinking the contaminated water. 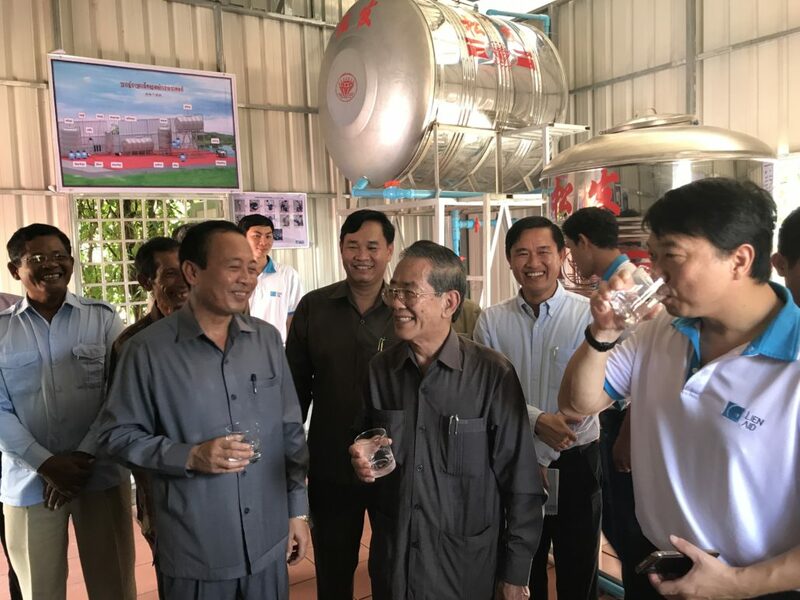 Se Hin started buying bottled clean water daily from Vietnam to make coffee and porridge to sell. 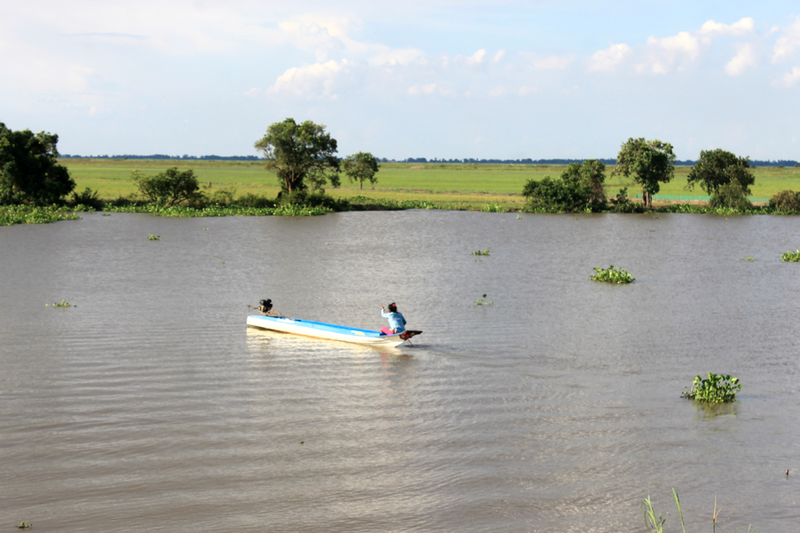 Sometimes, the water did not arrive in time and she would have to make multiple trips to a pond to fetch buckets of water. The amount of porridge and coffee that she sold depended on the amount of water that she could collect. 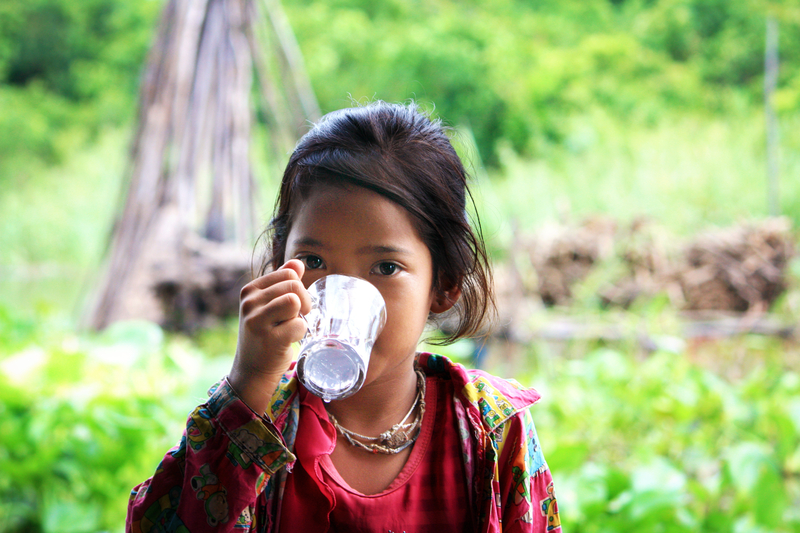 A girl fetching water. 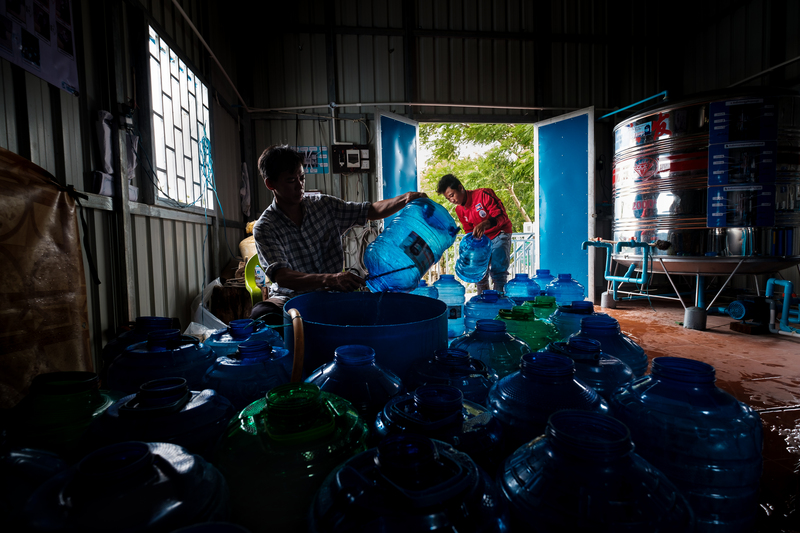 Before Community Water Enterprise (CWE) came to the village, Se Hin sometimes had to make multiple trips to fetch water. 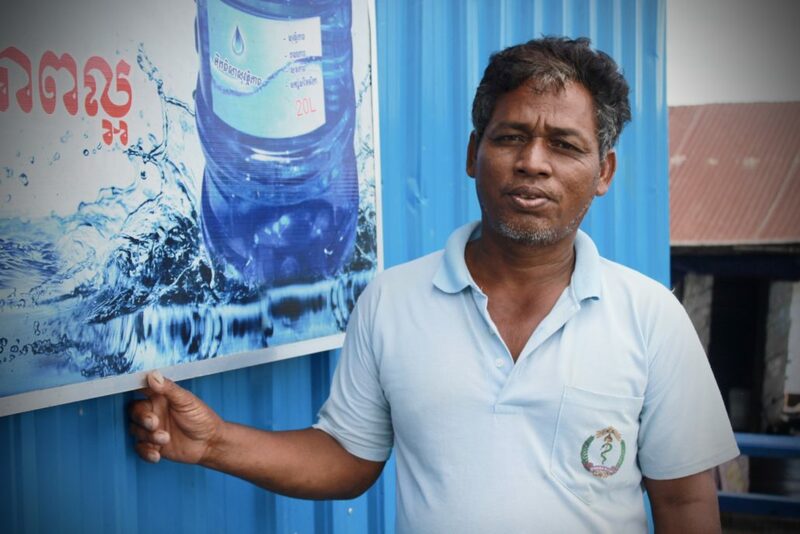 When Community Water Enterprise (CWE) came to the village, Se Hin was one of the first ones to jump on board. With better access to affordable clean water, she can finally make more porridge and coffee to sell, and earn more income to support her family. 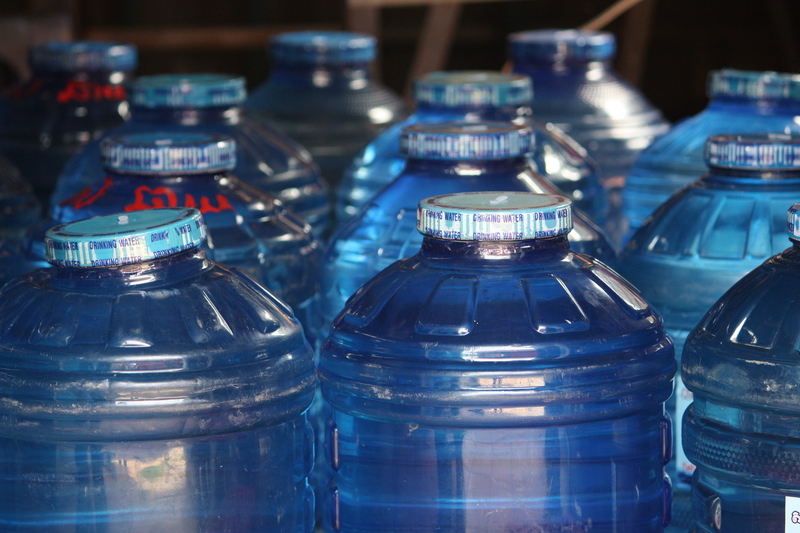 Bottles of clean water in the CWE treatment plant in Anglong Tean village. 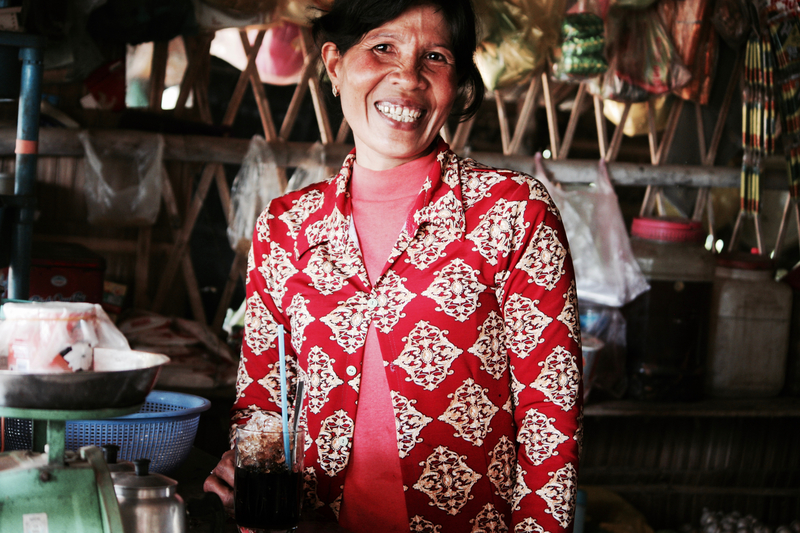 With better access to clean water, Se Hin can make more coffee and porridge to sell and earn more income to support her family. For the first time ever, Se Hin also has the time and money to take care of herself. These days, she can afford to buy new clothes and makeup. “I did not have money or time to look good when I was young. 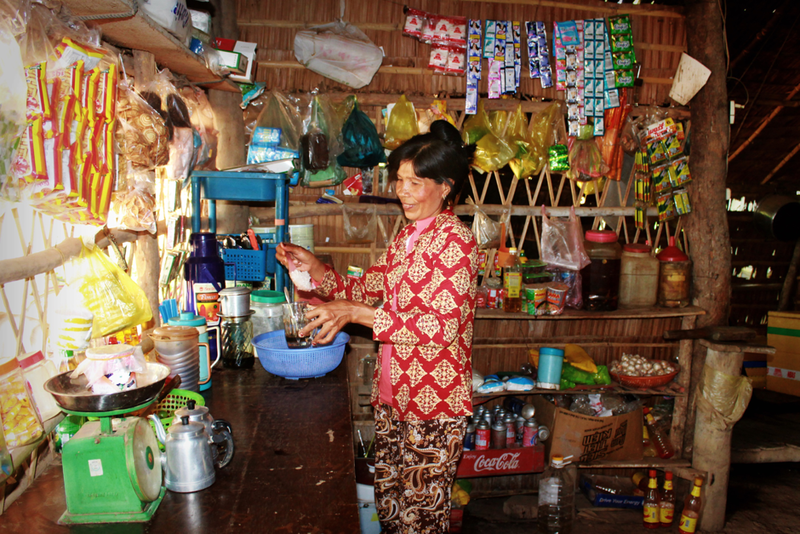 Now I have to catch up”, Se Hin tells me as she proudly shows me her beautifully decorated home right beside the shop. (Left) Se Hin poses beside her wardrobe; (right) the interior of her home. 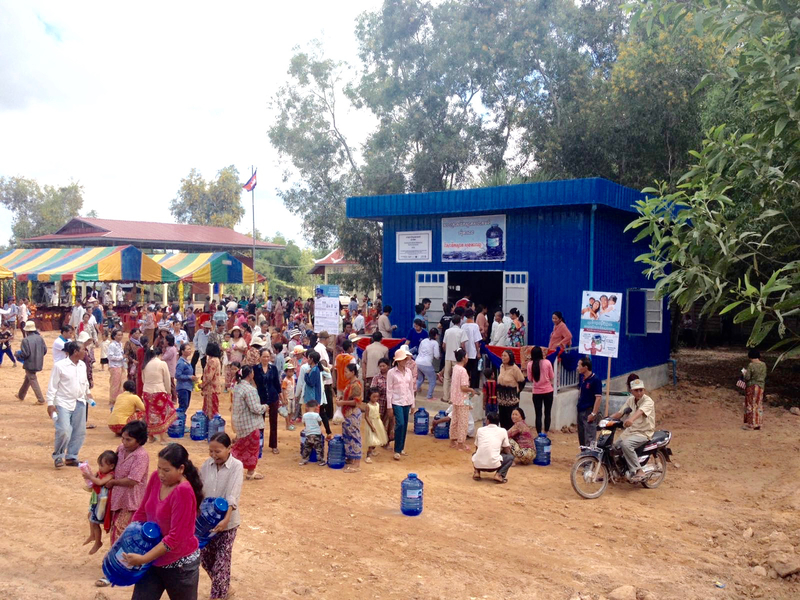 This project in Borei Cholsar Commune implemented under the Community Water Enterprise programme in Cambodia, was supported with co-funding from the Prince Albert II of Monaco Foundation. 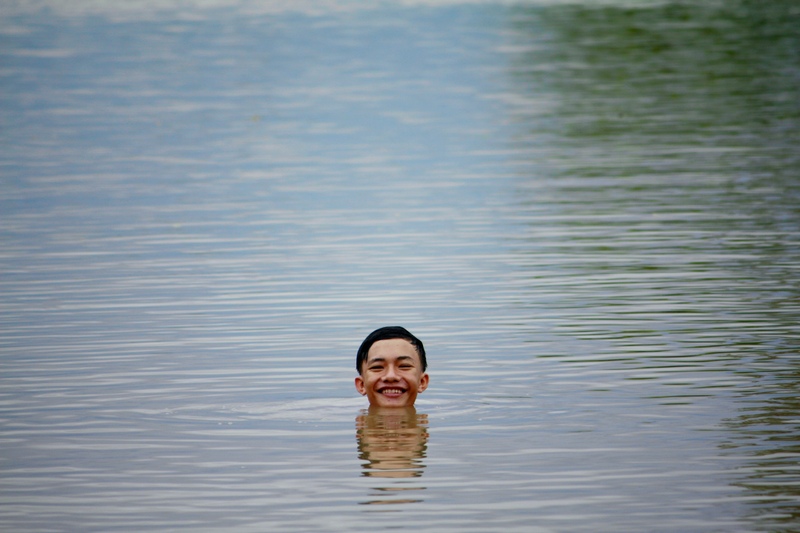 It was an exceptionally hot day for the wet season. By the time we made it to the only school in Pou Andait village, my shirt was soaked with perspiration. Morning class had just ended. 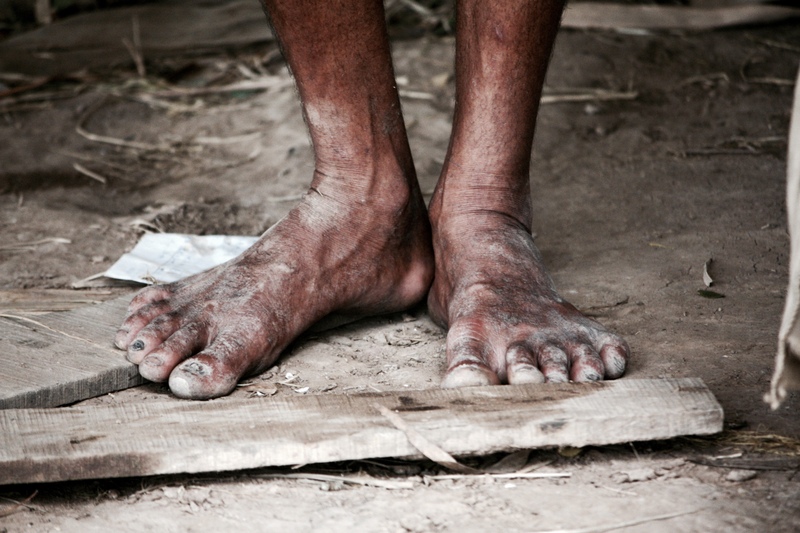 School children poured out of the classrooms and clambered onto over-sized bicycles, legs stretched to reach the foot pedals as they made their way shakily down the dirt road outside the school. 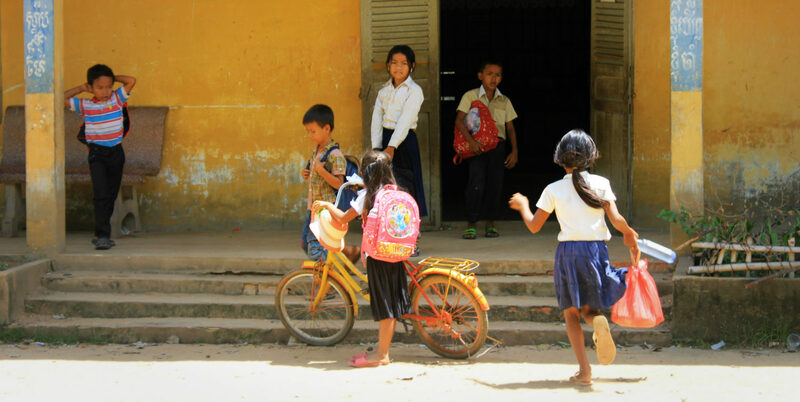 (Left) students getting on bicycles to go home after school; (Right) children in the school. Some stopped and got off their bikes to observe me from a safe distance with squinted eyes. 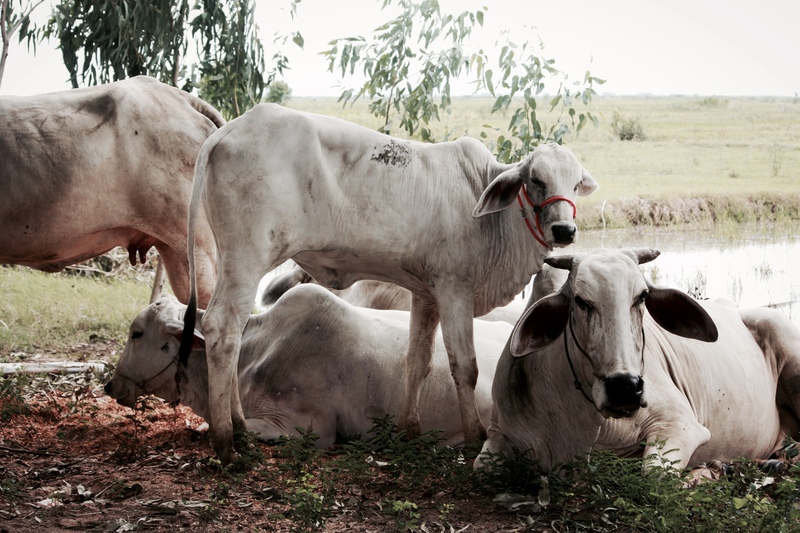 After all, an outsider was a rare sight in this village. However, it was not long before their wary looks were replaced with wide-eyed curiosity. 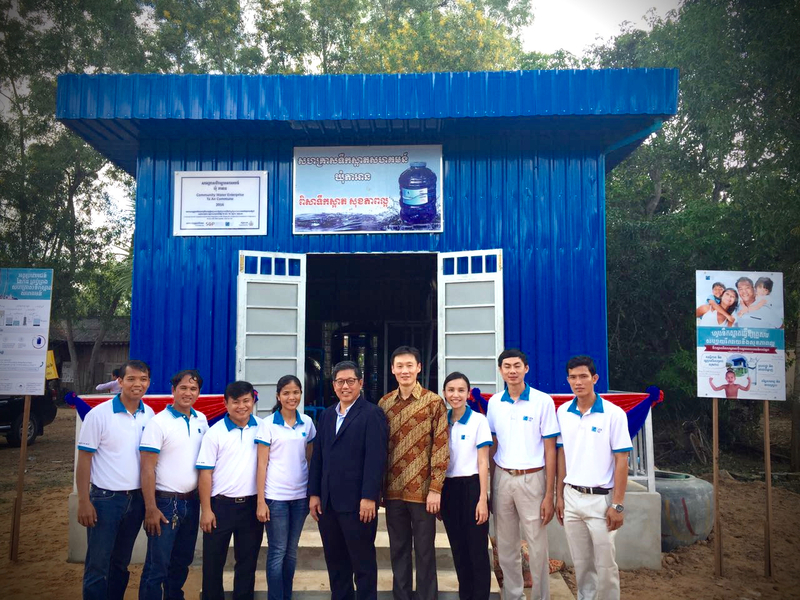 Soon, I found myself surrounded by excited, smiling children eagerly posing for photographs. Amid the crowd of excited school children, one girl caught my attention. She stood out from the other students with her quiet confidence and calm demeanor. Her eyes had a pensive, brooding and slightly melancholic quality to them. She did not smile, not much anyway. Chann Mie, 11 years old. Inside the principal’s office, I was granted an introduction to this girl. Her name is Chann Mie, and she is 11 years old. 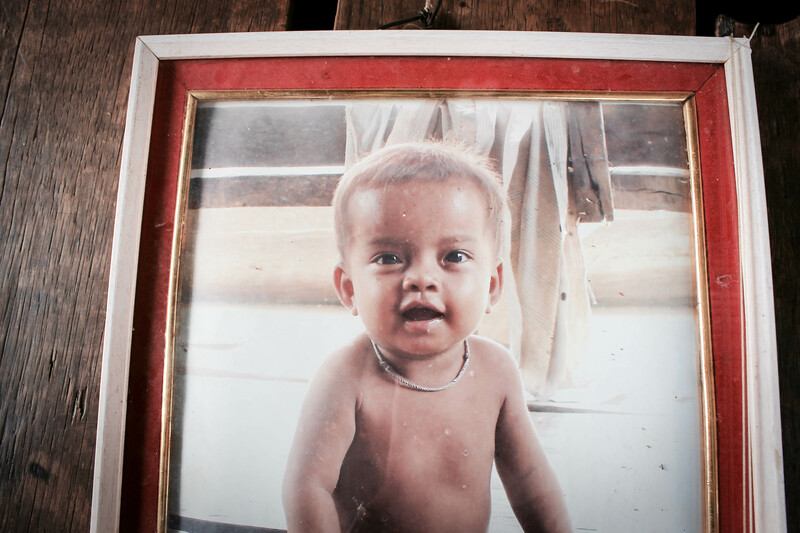 This little girl who looks just half her age suffered from poor health her whole life. Yet, she is the top student in her school, her teacher told us. Chann Mie is a special girl. She is smart, respectful and always willing to help her friends. Her favorite subjects are mathematics and Khmer language. Despite being born into a poor family, she is unwilling to accept the fate of an ordinary girl in Pou Andait village. “I want to be a teacher when I grow up so I can live a life less difficult than my parents. 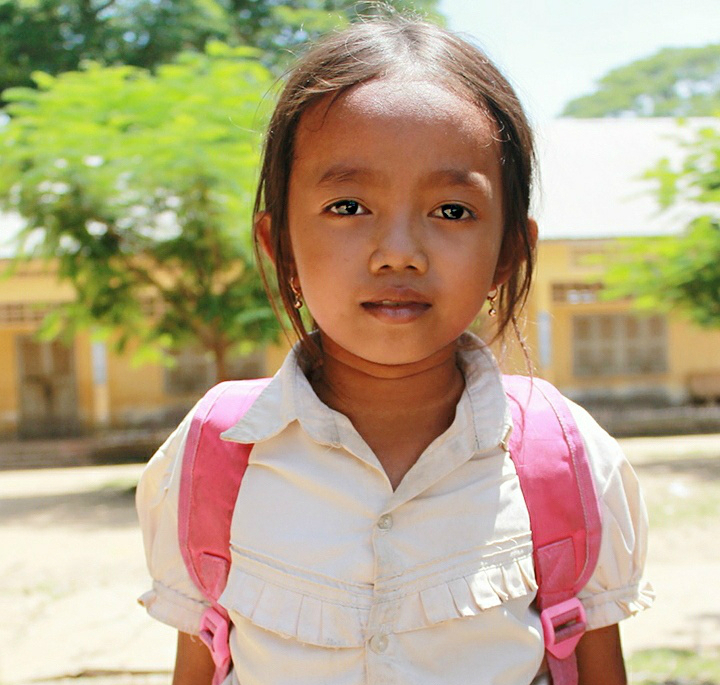 But last month, I fell sick five times with diarrhea and could not come to school.” – Chann Mie. 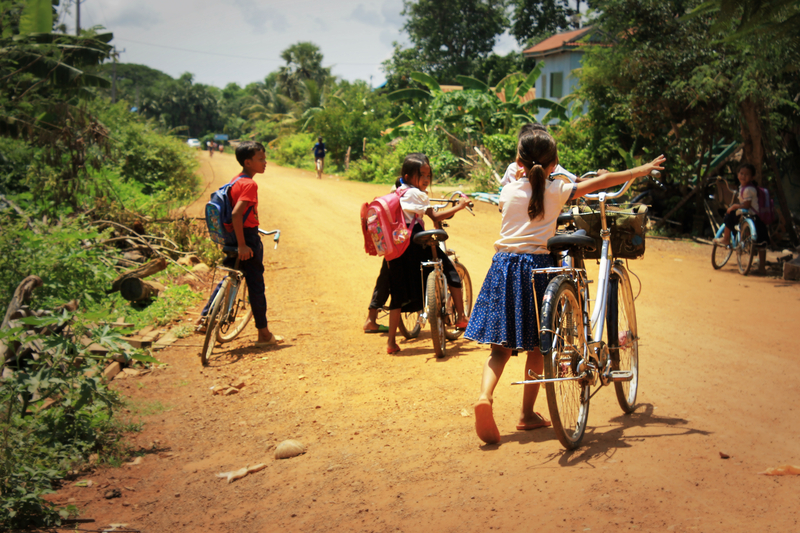 Chann Mie (with the pink backpack) getting on her bicycle for the journey home. After school, Chann Mie goes home to help her parents. 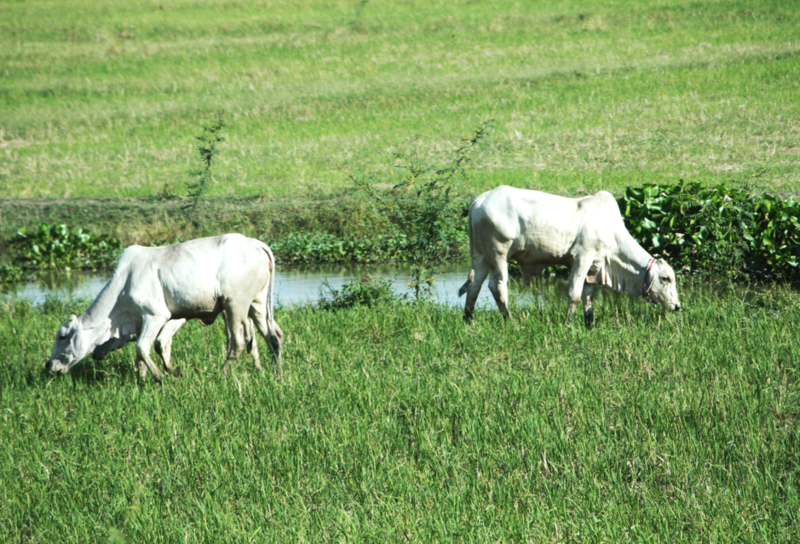 On a typical day, she has to finish her homework, babysit her younger sister, help her parents in the rice fields, hand wash dirty clothes and herd the goats back home. If she finishes all her chores early, she gets to skip rope with her friends. She cannot do any of that when she is sick. 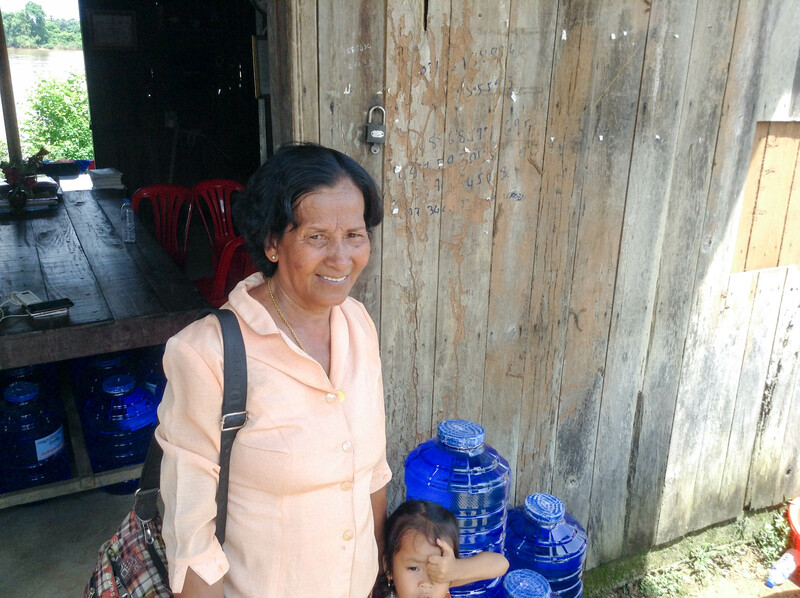 Like many other students in her school, Chann Mie brings water from home – usually rainwater or river water. Sometimes her parents do not have time to boil the water, and the whole family gets diarrhea. 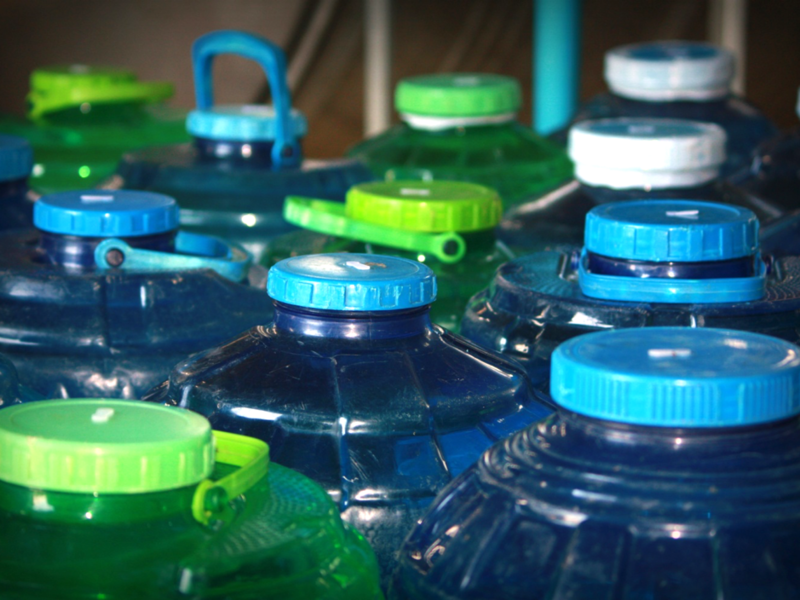 (Left) empty bottle in a school bag; (Right) rainwater collected inside a water storage jar. 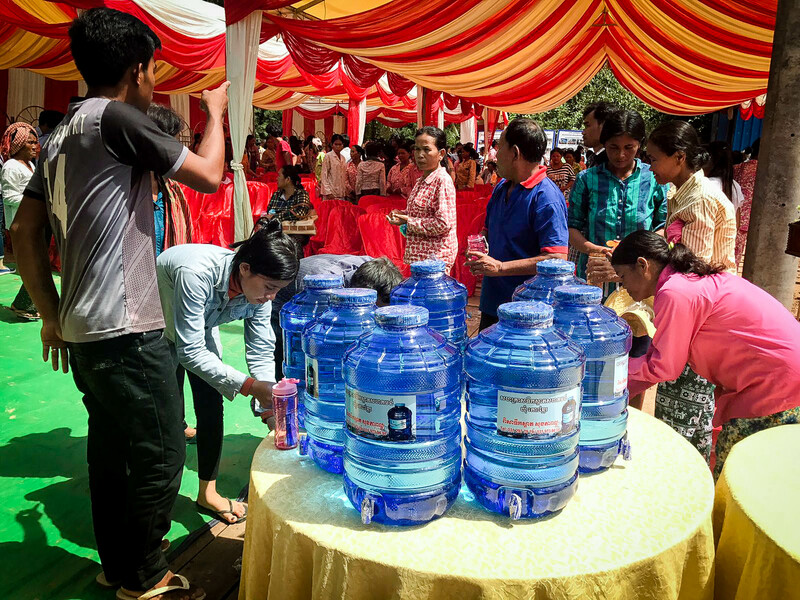 Today, under the Community Water Enterprise (CWE) programme in Kanchor Commune, Chann Mie’s school can obtain a number of free 20-litre bottles of clean water daily. 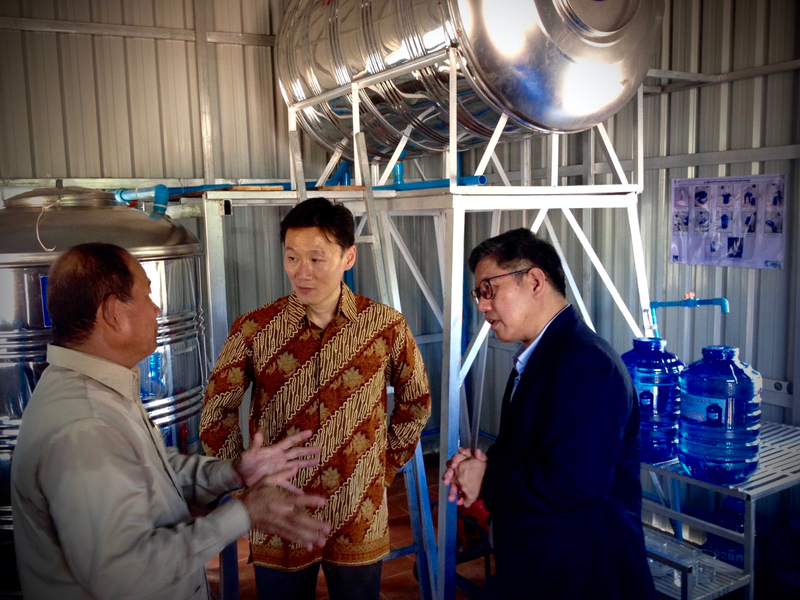 Since the completion of this CWE project in October last year, we have been continuing our efforts to monitor and evaluate the outcomes of this project. 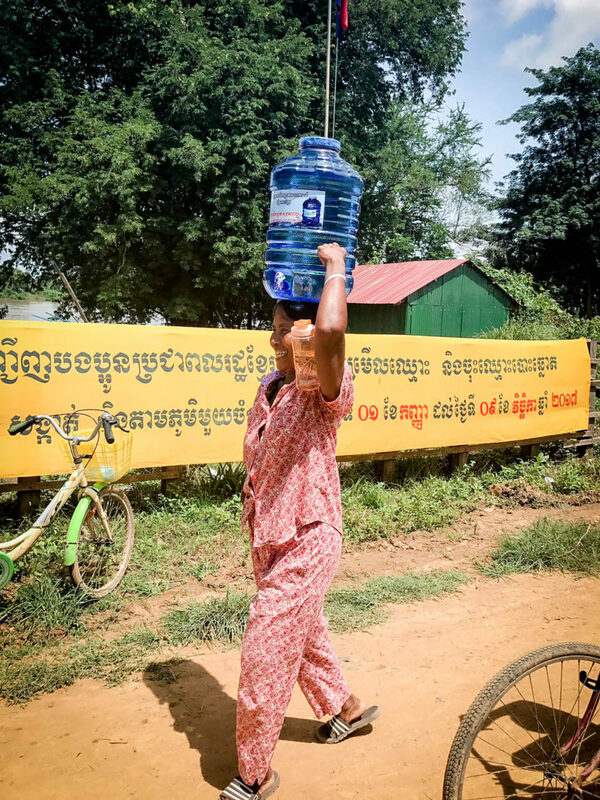 The fight for clean water is a continuous uphill battle with numerous challenges, but we are hopeful for a future where Chann Mie and her schoolmates will enjoy better health through improved access to clean water. 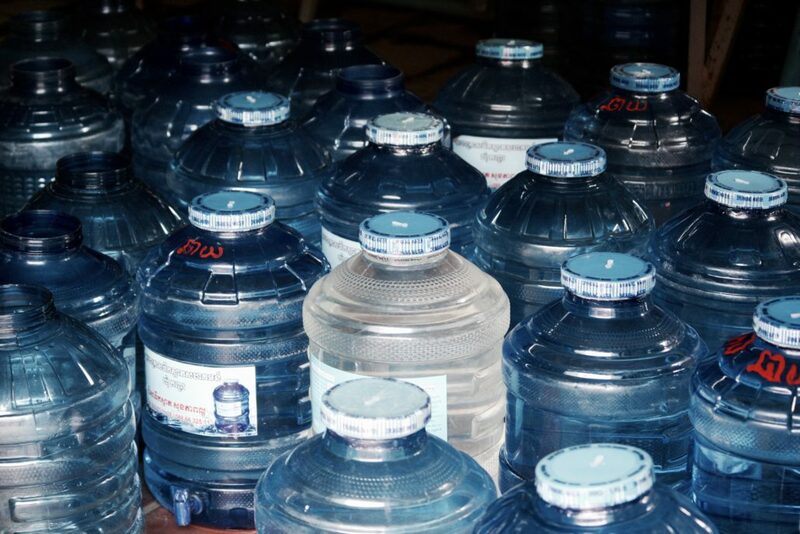 Bottles of clean treated water in the CWE treatment plant in Pou Andait Village, Kanchor Commune.